PhraseExpress is a keyboard macro utility that manages all your frequently used text phrases from a taskbar icon and allows you to paste them into any application with a single mouse click, a keyboard shortcut, or a text macro command. The program is ideal for email reply templates, signatures, addresses and any other information that you find yourself typing repeatedly. PhraseExpress also includes powerful macro functions to launch programs, files or email messages, offers support for dynamic macro commands and comes with a unique text-prediction feature. How to extract: Download the "Portable Edition" ZIP package and extract to a folder of your choice. Launch phraseexpress.exe -portable. Beeftext is a text substitution tool that automates the entry of frequently-used text, functional in any application that supports copy/paste. Text automation is achieved via "combos," or a text snippet substituted via a user defined keyword that serves as a trigger for the snippet. These combos can be organized into groups or individually disabled. Additional features include playing a sound on execution, automatic backup, export and import, pause, tray control and more. How to extract: Download the "Portable Edition" ZIP package and extract to a folder of your choice. Launch Beeftext.exe. Love this software. Was previously using Typertask, but this is much better. Lintalist is a context sensitive text-expander with abbreviations, shortcuts, plugins, scripts and search. It allows you to store and (incrementally) search and edit texts in bundles and paste a selected text in your active program. The text can be interactive, for example you can automatically insert the current time and date, ask for (basic) user input or make a selection from a list etc and finally it can also run a script. You can use keyboard shortcuts or abbreviations to paste the text (or run the script) without opening the search window. You can also use formatted text (html, markdown and rtf) and images. Stealth: ? Yes. The program can create shortcuts (lnk) on your desktop and/or startup folder for you. How to extract: Download the ZIP package and extract to a folder of your choice. Launch Lintalist.exe. An amazingly useful and versatile program. Many possibilities and I'm finding new uses for it all the time. Can be used effectively without any AHK knowledge, but possessing even a basic familiarity with AHK further expands its usefulness. Sigil is a tabbed editor for the EPUB format commonly used in eBooks. The program includes basic formatting, customizable fonts and styles, hotkeys and spellcheck. You can generate a table of contents, embed files (audio, video, or other), edit/add metadata, rearrange or split pages, add vector (SVG) images and available "clips" for frequently entered text. As the format is based on simple HTML, the program includes a WYSIWYG-style book vs. code view, the ability to modify cascading style sheets and additional functionality via plugins. The program can even shrink some eBooks by discarding unused media elements. Cross-platform with clients for Linux, Mac and supports many languages. Sigil Portable is a wrapper version of the program and X-Sigil is also available. How to extract: Download the self-extracting EXE to a folder of your choice. Launch SigilPortable.exe. Optionally, the user guide is available as a separate download. AutoText offers in a small tooltip window saved words, texts, phrases, snippets etc. during typing in any other program and will insert the selected item directly to the cursor position. In case of unsuccessful search, Space, Return, PgUp, PgDn etc. closes the small window, so that fast and liquid typing is not disturbed. 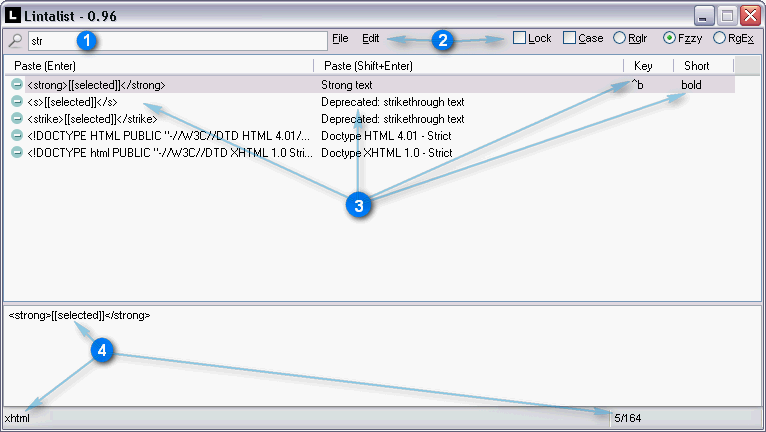 Three different search methods can be set. In addition AutoText monitors the clipboard and saves the last X text entries of the clipboard, which can then be retrieved as well. How to extract: Download the ZIP package and extract to a folder of your choice. Launch AutoText.exe.